This is an 11-month base agreement with 4 one-year option periods. The works under that contract will be executed in Texas and Pennsylvania and concern the V-22 aircraft of the U.S. Navy, U.S. Air Force and U.S. Marine Corps. In July 2018, Bell Boeing was awarded a $4 billion contract for the production and delivery of 39 CMV-22B aircraft for the U.S. Navy; one CV-22B for the U.S. Air Force, and 14 MV-22B aircraft for the U.S. Marine Corps. Under this performance-based logistics (PBL) contract, Bell Boeing will improve the aircraft maintainability and mission readiness for the Navy, Air Force and Marine Corps V-22 fleets. The agreed works cover maintenance planning, site activation, training and trainer support, support equipment, and dedicated field personnel for all V-22 squadrons all over the world. 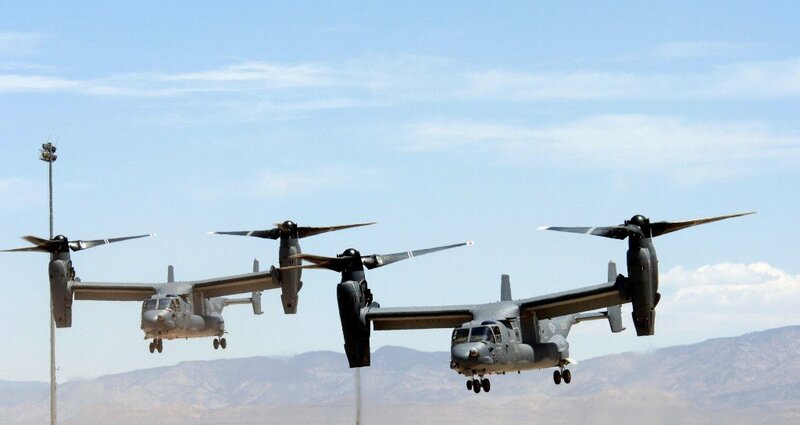 The Bell Boeing V-22 Osprey is a multi-mission, tilt-rotor military aircraft that features both vertical take-off and landing (VTOL) and short take-off and landing (STOL) capabilities. It is developed so that to combine the functionality of a conventional helicopter with the long-range, high-speed cruise performance of a turboprop aircraft.